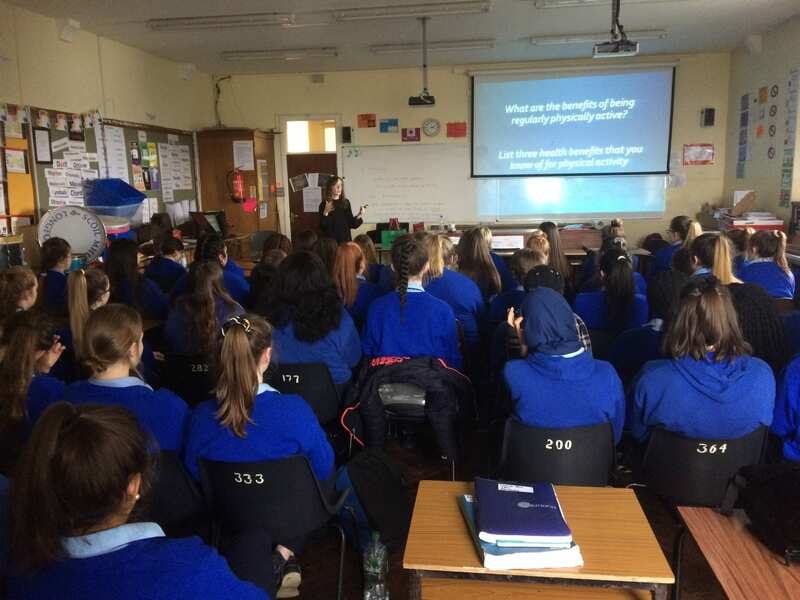 We were delighted to welcome Mairead Cantwell, a clinical exercise physiologist to Mean Scoil Mhuire in Longford recently where she delivered an insightful and informative presentation to students as part of our STEM career talks in association with AIT. Mairead works as as an assistant lecturer in sport and exercise science at AIT. Clinical exercise physiology focuses on the promotion and prescription of physical activity to individuals living with different chronic conditions (e.g. heart disease, diabetes, cancer). Her presentation focused on the benefits of physical activity for health throughout the life, and in the context of clinical conditions. She also discussed potential routes into careers in clinical exercise physiology. 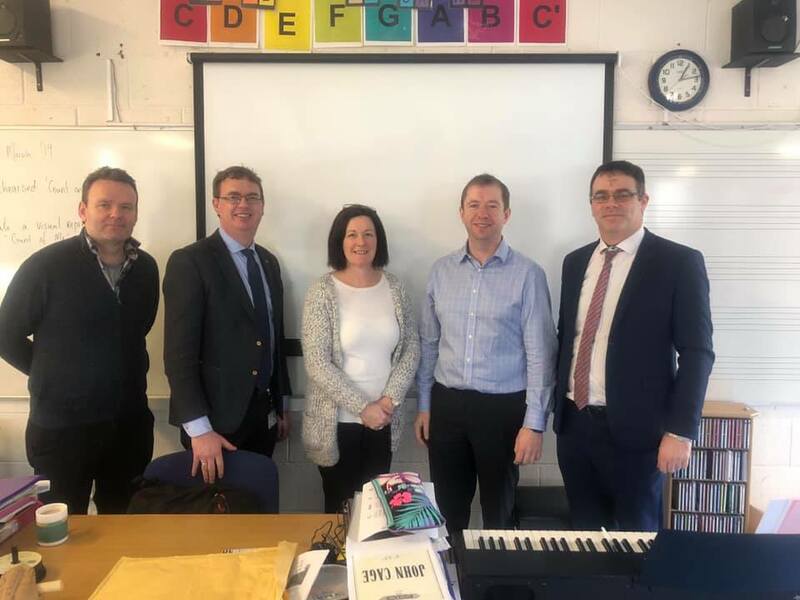 Midlands Science was delighted to recently welcome two expert speaker to Tullamore College where they delivered a highly engaging and informative talk to senior students . 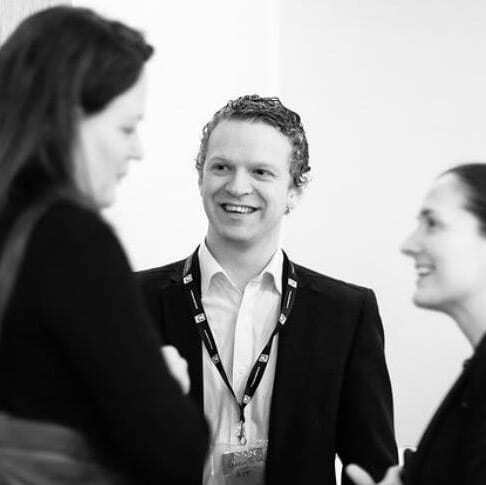 Caroline Brazil (originally from the Midlands and a Senior Manager with Accenture) and Déaglán Campbell, Design Lecturer in Dept. 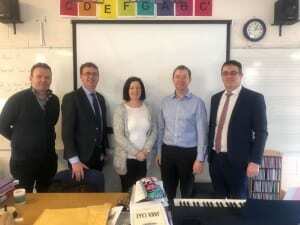 of Mechanical, Polymer & Design, at Athlone Institute of Technology focused their talks on Innovation and feedback from teachers and students was extremely positive. We look forward to many more talks in schools across the region before the end of this school year. Midlands Science was delighted to deliver a number of STEM career talks to school in the Midlands as part of the national Engineers Week celebrations. One talk which took place for a large number of students in Offaly was at Killina Secondary School in Rahan. Dr Enda Fallon of Athlone Institite of Technology (AIT) spoke to students about Engineering courses and careers and Gerry Buckley of local network and infrastructure and support firm, NIS also presented on the day so that the young people could see it from both the corporate and academic side. How we experience and manage pain is a complex and sometimes emotional process. This free lunchtime lecture took place today in Athlone Library explored our relationship with pain and painkillers and was led by Dr Gary Stack of AIT’s School of Nursing and Healthcare. 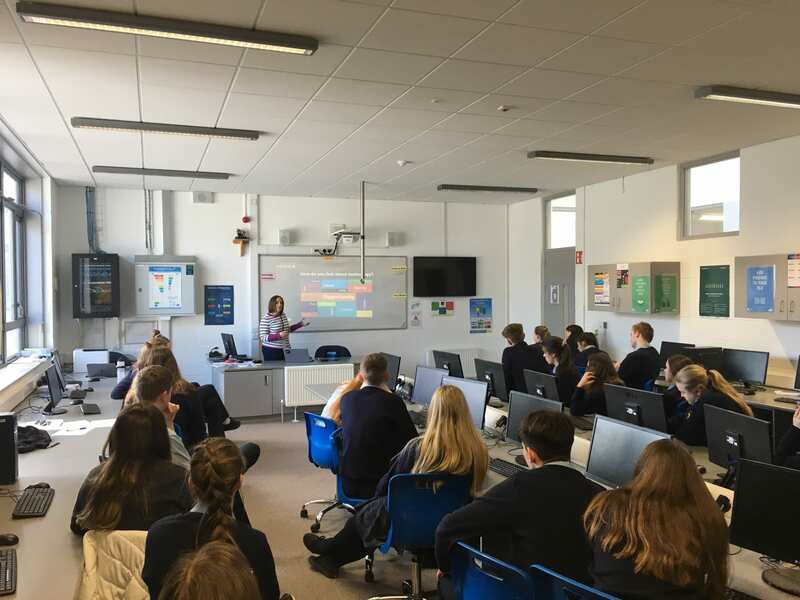 Local development company, Midlands Science, teamed up with Athlone Institute of Technology (AIT) and Intel Ireland Ltd this week to deliver an inspiring career talk to students at Loreto College in Mullingar, in advance of the annual Midlands Science Festival. Enda Fallon from AIT spoke to students about engineering career opportunities and course options available at AIT and Bridget Molloy of Intel Ireland Ltd also addressed students and spoke about her own career in a global company as well as providing insights on other related engineering careers and opportunities for women in STEM. 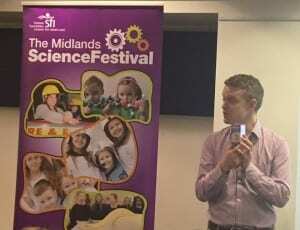 The Midlands Science Festival will be taking place across the region for people of all ages from November 11th – 18th and promises a full programme of innovative and fun hands-on events. How we experience and manage pain is a complex and sometimes emotional process. This free lunchtime lecture will take place during this year’s Midlands Science Festival on November 14th in Athlone Library and will explore our relationship with pain and painkillers. This event part of a series of bite-sized science talks, where those attending can pop in on their lunch break for some science, free tea and coffee and snacks and there will be an opportunity for questions and answers.. You’ll learn something new during your lunchbreak and we encourage questions and discussion at this event. Join Dr Gary Stack of AIT’s School of Nursing and Healthcare for a lunchtime lecture on painkillers, ‘The Good, the Bad and the Ugly. Gary, firstly can you give us an insight to your own role and background? What courses do you teach? I completed my undergraduate degree in pharmacy in Trinity College Dublin in 2006. Following graduation, I worked as a community pharmacist. Practising as a community pharmacist involved more than dispensing medicines to patients. It meant that I was in a position to ensure medicines were being used appropriately to achieve best patient outcomes. While working in the community, I decided to return to Trinity College where I undertook a PhD developing new drugs for the treatment of cancer. This was an area close to my heart and provided me with the opportunity to explore a new facet of healthcare. Following completion of my postgraduate studies, I began working as a lecturer in Athlone Institute of Technology. I teach students on the pharmacy technician, dental nursing, general and psychiatric nursing and pharmaceutical science programmes. This role allows me to share my knowledge and experience with the next generation of healthcare professionals and scientists, and also allows me to pursue my interest in research. What led you to explore the world of learning about pain management? Pain is such a broad topic and can range from a tooth-ache to severe and debilitating back pain. As a community pharmacist, I have spent many days helping people to choose the right solution for their symptoms. By understanding more about the science of pain and the medicines we use to treat it, people can be empowered to make better choices for their own healthcare. Some people take over the counter products such as ibuprofen to treat everyday aches and pains, but how exactly do different classes of pain relievers actually work in the body? There are a number of over-the-counter products to treat aches and pains. The most common painkillers available without a prescription include: ibuprofen, aspirin, paracetamol and codeine. Ibuprofen is an anti-inflammatory painkiller, which belongs to a class of medicines called non-steroidal anti-inflammatory drugs (NSAIDs). Ibuprofen works by reducing the production of prostaglandins, chemicals that cause pain and inflammation. Aspirin and paracetamol work in a similar way to ibuprofen. 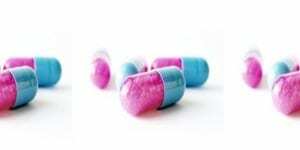 Codeine works in a different way and acts in the brain and spinal cord, leading to pain relief. As there are different classes of pain killers, I would recommend that patients always discuss their pain and treatment options with their pharmacist or doctor. Some painkillers can provide temporary relief for pain, but often use comes with undesirable side-effects -What pain medications are truly addictive? Unfortunately, there is no such thing as a 100% safe medication. Every medicine has its own combination of side effects. Opioids are the class of drugs that have the potential to cause dependence (also known as addiction). Opioids include morphine and the more widely available drug, codeine. While these medications can provide effective pain relief, they should always be used under the supervision of a doctor or pharmacist. Is it true that we develop a tolerance to pain medication overtime? It is possible to become tolerant to pain medication overtime. This most commonly occurs with the opioid class of painkillers. This means that a person may find they need to take greater amounts of the drug to achieve the same pain relief. However, patients should never exceed the recommended dosage of any medicine and any changes in dose should always be carried out in consultation with the patient’s doctor or pharmacist. What can we do to encourage more young people to consider Nursing as a course or future career choice? It is essential to encourage young people to consider healthcare courses such as Nursing, Pharmacy Technician and Dental Nursing when deciding on their future careers. Working in these professions is incredibly rewarding and essential for the future of the healthcare system. There are a number of ways to attract students into these courses. Firstly, early intervention is essential so that young people are informed about these careers in secondary school. Athlone Institute of Technology, for example, promotes long term student recruitment by organising a series of interactive open days, which provides students with a valuable insight into these healthcare courses. Secondly, there is often a perception that nursing and related courses are female-dominated and consequently, male students are sometimes unenthusiastic about joining these professions. By removing this stigma, I’m sure it will encourage more men into nursing and related careers and ensure greater gender balance in the healthcare system of the future. 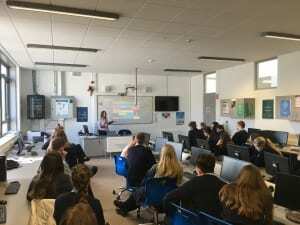 Midlands Science teamed up with Athlone Institute of Technology (AIT) and Mergon International to deliver an inspiring career talk at Colaiste Mhuire in Mullingar last week as part of national ‘Engineers Week’ celebrations. Senior technologist, Alan Mannion spoke to students about engineering career opportunities and course options available at AIT and Padraic McDonnell of Mergon International gave an insight into working in the engineering field, the diversity it offers and what it is like to work within this profession for a global company. 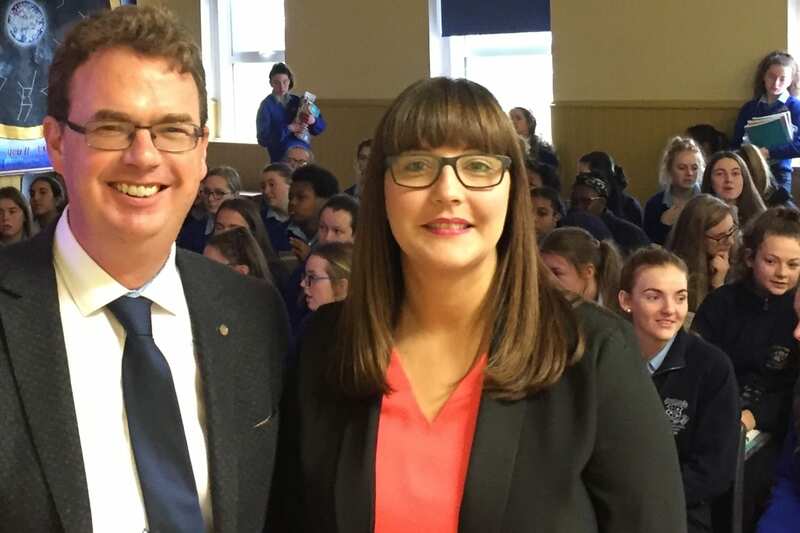 Dr. Attracta Foley, a Chartered Civil Engineer and Senior Civil Engineering Lecturer at AIT also provided a talk in Mullingar during Engineers Week and addressed some of the students at Loreto College. Science gets the little grey cells moving!!! AIT recently was awarded The Sunday Times Institute of Technology of the Year for 2018 and its vision is to become a Technological University in the near future. We are proud to be partnering with Athlone Institute of Technology to promote the importance of science and technology education here in the midlands and beyond. This week we spoke to Dr. Brian Murphy of Athlone Institute of Technology in advance of Science Week to find out a little about AIT’s Science focus, their participation in the festival this year and also about his own role and background..
Brian, can you tell us a little about your role in AIT? After completing my PhD in Coordination Chemistry and X-Ray Crystallography at University College Cork in 1994 I decided to pursue an academic career. Over the past 23 years this has brought me to teach Inorganic Chemistry and conduct research at a number of universities and institutes of technology both in Ireland and abroad, including Cardiff University, Dublin City University, IT Sligo and the United Arab Emirates University. In 2008, after spending eight years in the middle east, working as an Associate Professor of Inorganic Chemistry and later as a Head of Department at the Department of Chemistry at United Arab Emirates University, I decided to return to Ireland and joined Athlone Institute of Technology as Head of the Department of Life and Physical Sciences. I since have moved away from academic administration and have returned to my true passion in trying to open up the world of Coordination Chemistry to undergraduate students as a Senior Lecturer. Not an easy task! I teach across a variety of academic programmes at AIT, including the BSc(Hons) in Pharmaceutical Science, which is a unique programme that provides the broad-based, essential information and skills required by graduates for employment in the modern pharmaceutical sector. This programme is officially recognized by the Institute of Chemistry in Ireland and covers chemical-based and next generation biotech-based therapeutics and their formulation into the safe and effective medicines of high and durable quality. The programme is one of the leading academic programmes at AIT in terms of the high quality employment outlets open to its graduates. The Midlands has become a major magnet for leading international pharmaceutical companies and this programme provides learners with the core experience in the exploration of the structure-property relationships of drugs and pharmaceutical materials. As a Lecturer, not only do I teach but I also am involved in the extensive development of new academic programmes in the Faculty of Science and Health, I supervise undergraduate research projects in Coordination Chemistry, sit on a number of Institute sub-committees and have a number of international collaborations in the area of curriculum development and coordination chemistry. AIT recently was awarded The Sunday Times Institute of Technology of the Year for 2018 and its vision is to become a Technological University in the near future. In my view this is an essential component of the future strategic plan for the region – AIT has the capacity and potential to become a university and this is what makes working at AIT extremely interesting at present! AIT’s strength comes from identifying areas of skills shortage and working with businesses to improve links between enterprise and academia. The Institute currently has three dedicated research centres, straddling the areas of Bioscience, Software and Materials and has become a regional research power-house in these areas, working closely with local industry. What inspired you to pursue a science based career? Unfortunately in Ireland only a small proportion of secondary schools currently offer Chemistry and Physics which is a real shame. Chemistry is often described as the central science and many students do not really understand the importance of chemistry until they enter third-level programmes and are surprised to find chemistry in the heart of medicine, engineering, dentistry, toxicology, biotechnology and even sports science programmes! As a secondary school student I was extremely lucky to go to a newly built, state-of-the-art, mixed secondary school in Cobh, Co. Cork, Coláiste Muire, where the Presentation Brother Principal of the School (Br. Bede) himself had a strong Science background and insisted that the school should have dedicated modern laboratories in Chemistry, Physics and Biology to ensure that students could take all three pillar science subjects up to Higher Leaving Certificate Level. At the time we had an outstanding Chemistry Teacher, Dr. Declan Kennedy, who since has moved on to become a Senior Lecturer in the Department of Education in University College Cork and who has been at the fore-front of developments in Chemistry Teaching in Ireland for the past twenty years. As a teacher he was visionary in his delivery of science and this is what lured me into pursuing a career in Chemistry. It all stemmed from being exposed to problem-based learning, challenging experimental work and interdisciplinary science from an early age in secondary school and knowing that I was being educated in first-class chemical laboratories. It would be nice to see more schools in the Midlands offering Chemistry and Physics to secondary school students in the next ten years and not just Biology. All three subjects are essential for anyone interested in STEM as Science in the future will become even more interdisciplinary in nature! There appears to be a current shortage also of qualified Chemistry Teachers nationally and this is an area that the government needs to address if we are really to become a leading international STEM nation on the worldwide stage. Why in your view is science so important in society today and what can we do to encourage more young people to choose science when picking their subjects at second level? There are so many reasons as why science is so important to society at present that in this condensed blog it is not possible for me to outline the myriad of reasons and examples. As a Coordination Chemist by trade, X-ray Crystallography has long been a central structural tool for me in my pursuing research interests and the importance of structure still plays a pivotal role in science today. However I would like to focus in on the recent award of the 2017 Nobel Prize in Chemistry to Jacques Dubochet (University of Lausanne, Switzerland), Joachim Frank (Columbia University, New York, USA) and Richard Henderson (MRC Laboratory of Molecular Biology, Cambridge, UK) for developing an effective method for generating three-dimensional images of the molecules of life. Using cryo-electron microscopy, it is now possible to freeze biomolecules midmovement and portray them at atomic resolution. This technology has launched biochemistry on a completely new trajectory. In the press release on the award of the Nobel Prize in Chemistry to these researchers it is described how “over recent years numerous astonishing structures of life’s molecular machinery have filled the scientific literature: Salmonella’s injection needle for attacking cells; proteins that confer resistance to chemotherapy and antibiotics; molecular complexes that govern circadian rhythms; light-capturing reaction complexes for photosynthesis and a pressure sensor of the type that allows us to hear. These are just a few examples of the hundreds of biomolecules that have now been imaged using cryo-electron microscopy (cryo-EM). When researchers began to suspect that the Zika virus was causing the epidemic of brain-damaged newborns in Brazil, they turned to cryo-EM to visualise the virus. Over a few months, three dimensional (3D) images of the virus at atomic resolution were generated and researchers could start searching for potential targets for pharmaceuticals. Jacques Dubochet, Joachim Frank and Richard Henderson have made ground-breaking discoveries that have enabled the development of cryo-EM. The method has taken biochemistry into a new era, making it easier than ever before to capture images of biomolecules.” As a scientist I always look forward each year to the award of the Nobel Prize in Chemistry. Reading the research underpinning the work of these annual award winners makes us understand the importance of science to society. Secondary school students need to be challenged in science from day one – to foster this learning environment, science students need to constantly pose questions, be challenged by undertaking project and research work, be exposed to a rigorous experimental programme and have access to high-quality laboratories, instrumentation and facilities. We also need to encourage more Honours Chemistry graduates to consider teaching as a career. There are several outstanding science teachers who do tremendous work in school educating future scientists, often educated to both Masters and PhD level. The government needs to support such highly qualified professionals to ensure that teaching once more is seen as a vital cog in our national development. One has only to look at the correlation between teaching, secondary school science facilities and STEM initiatives in countries like Finland to appreciate the importance of promoting the development of science in schools. Do you think there are any really exciting research outcomes we can hope to see in the next 10 years? Cure for Alzheimer’s disease, global solution to conquer climate change, advanced technologies for the electric car to name a few ….. it was interesting to read only a few days ago that NASA and NOAA have stated that measurements from satellites this year showed the hole in Earth’s ozone layer that forms over Antarctica each September was the smallest observed since 1988. Thirty years ago, the international community signed the Montreal Protocol on Substances that Deplete the Ozone Layer and began regulating ozone-depleting compounds. Scientists claim that the ozone hole over Antarctica is expected to gradually become less severe as the use of chlorofluorocarbons (once widely used as refrigerants) continue to decrease worldwide. Scientists now expect the Antarctic ozone hole to recover back to 1980 levels around 2070. This shows the power of international scientific collaboration between scientists and governments. I think Environmental Chemistry is one area to really keep an eye on in terms of research activity over the next decade. Global solutions can bring about a solution to climate change but scientists need to be supported at both international and national levels to foster these solutions. What is your favourite thing about teaching science? As Hercule Poirot says it gets the little grey cells moving!!! http://www.midlandsscience.ie/wp-content/uploads/2018/08/logo.png 0 0 Gillian Maunsell http://www.midlandsscience.ie/wp-content/uploads/2018/08/logo.png Gillian Maunsell2017-11-09 11:43:422017-11-09 11:43:42Science gets the little grey cells moving!!! We are delighted to be partnering with Athlone Institute of Technology this year in order to deliver a range of high value career talks to second level students across the Midlands. 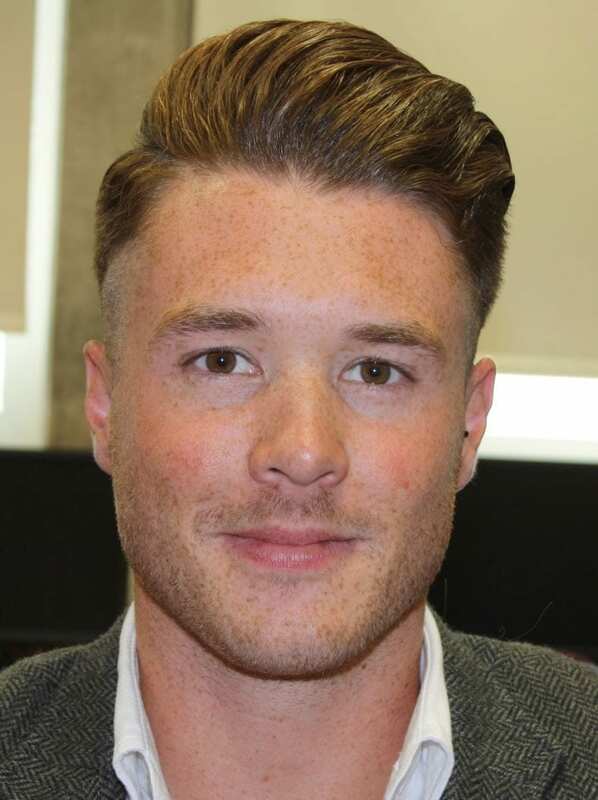 We caught up with one of our key speakers, Ciaran O’ Cathain of the AIT department of Sport and Health Sciences. Ciaran will be addressing students in Athlone next week during the Midlands Science Festival. Ciaran, can you tell us a little about your role at AIT? I am a lecturer in the department of Sport and Health Sciences and teach on the Sport Science with Exercise Physiology course and the Athletic and Rehabilitation Therapy course. I deliver modules mainly in the areas of Biomechanics and Strength and Conditioning. Outside of teaching I am primary investigator across a variety of sport science research projects, most of which are targeting the development of novel approaches for maximising sporting performance. I have also been actively involved in the development of the undergraduate courses we currently deliver in the department of Sport and Health Sciences. What is your background/academic experience? I went to secondary school in the Marist College and then completed my undergraduate degree in DCU where I studied Sport Science and Health. Upon completion of this I was awarded the O’Hare Scholarship from DCU to complete a PhD. For my PhD I developed a novel technology that allowed runners to intuitively change their running technique to reduce their risk of sustaining running relating injuries. I then took a lecturing position in Athlone IT and have been working here for the last three years. What inspired you to pursue a science related field? During my teenage years and early-to-mid-20’s I competed in track and field as a sprinter and hurdler. During this time I competed both nationally and internationally and subsequently became fascinated by the science behind improving sporting performance. What was initially a thirst for knowledge to improve my own performance developed overtime into an interest across a broad range of sport science related topics. This manifested in the completion of the above mentioned degree, PhD, and continued work as both a researcher and practitioner. We want to spread the message that science is so diverse and there are so many different avenues that someone can do down if they pick STEM! What advice would you give students in secondary school considering a science course at third level? I often find that one of the big barriers to choosing a STEM course is the dreaded requirement of mathematics. However, if you choose a discipline within STEM that you are extremely passionate about the context in which mathematics is employed becomes much more interesting. It is much easier to study maths when you see how useful it can be in an applied setting. For example, I did honours level maths and applied maths for my leaving cert and I hated both. However, once I started my degree and identified how I could use maths to improve sporting performance my opinion completely reversed and I loved it. I now specialise in the area of biomechanics which is essentially the application of physics and mathematics to gain a better understanding of human movement. What are some of the exciting jobs someone can expect to apply for if they complete a sports science course at AIT? Sport Science is a great discipline to study as it gives you a broad range of expertise and provides you with the opportunity explore multiple avenues once you complete the degree. Across the 4 years you will study modules in Physiology, Biomechanics, Coaching, Nutrition, Psychology, Strength and Conditioning, and Performance Analysis. From this you can choose to pursue careers or further study in one of these areas or a combination of them.